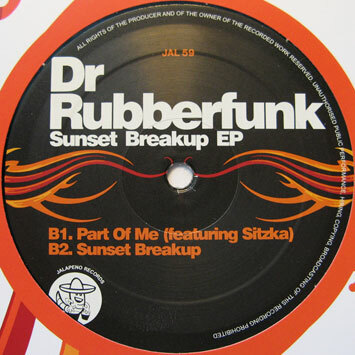 Dr Rubberfunk is back with a bang - this time on Jalapeno Records. This EP gives a taste of what we can expect from his forthcoming album. 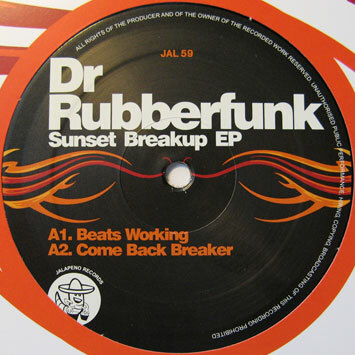 B-Boy drops, crisp brass, soaring strings and low slung funk dominate the A side. On the ip the doctor shows what he can do with a song by performing open-hat surgery on this beautiful vocal performed by dutch diva Sitzka. Most excellent.